If you want to dramatically improve your cooking skills and the presentation of finished dishes, learn to dice a carrot. 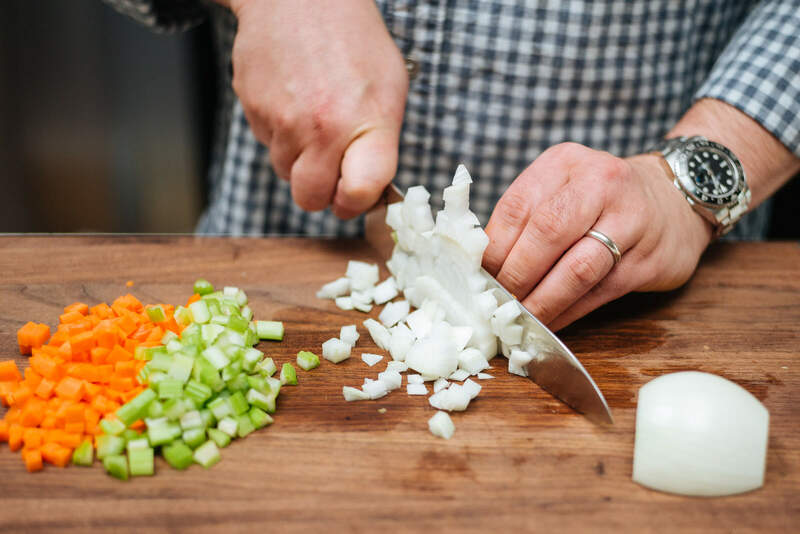 There is huge difference in appearance between a stew with random chunks of cut up carrots of varying sizes and shapes and one with perfectly uniform dice, and a consistent size cut will also help your food cook more evenly. 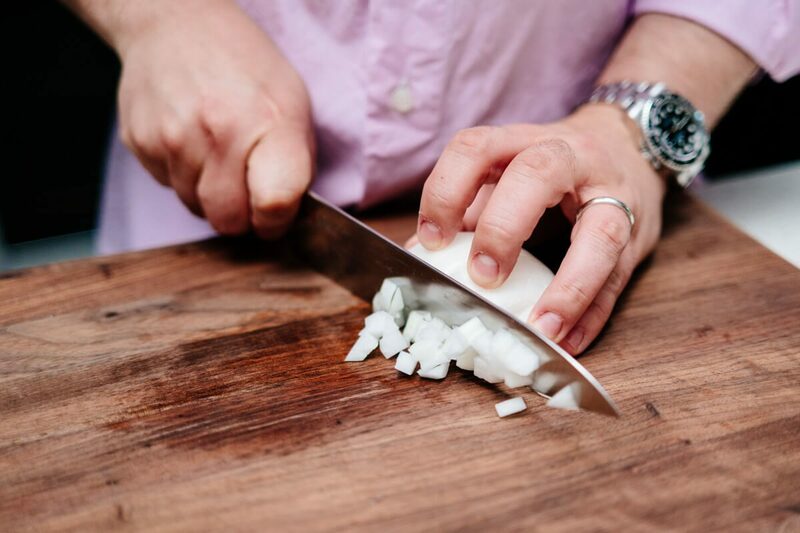 It’s not hard–it just takes a little practice and a good sharp knife. Celery and onion are easier to dice, especially since they are not as dense as a carrot. What makes carrots tricky is that they are inherently odd-shaped. To dice it, you need to force it into a uniform shape first. We’ve put together step-by-step photos of how we dice carrots. First, trim the ends and cut the carrot in half. The thinner end is usually more cylindrical and it’s easiest to cut separately. Put the thicker top half on the cutting board and put your knife lengthwise on one side of the carrot and orient it in a straight line from the thinner end up toward to top. Cut this edge off. The goal is to flatten the edges. Put the cut side down, and repeat this process three more times, until your carrot is squared off. You can throw the little wedges of carrot you cut off into a bag in the freezer for stock. Cut the long, square piece of carrot in half lengthwise, then cut each of those halves in half again. You’ll now have four smaller long square pieces. Turn these on your cutting board and cut across them into dice. Repeat this process with the other half of the carrot. It will be easier, and you won’t have to cut as much off the edges to flatten the sides. The key dicing carrots is practice and a really sharp knife. We recently got this one and it was a dream to use, even more than our other favorite knives. For photos, we used this beautiful walnut cutting board, but we most often use these. 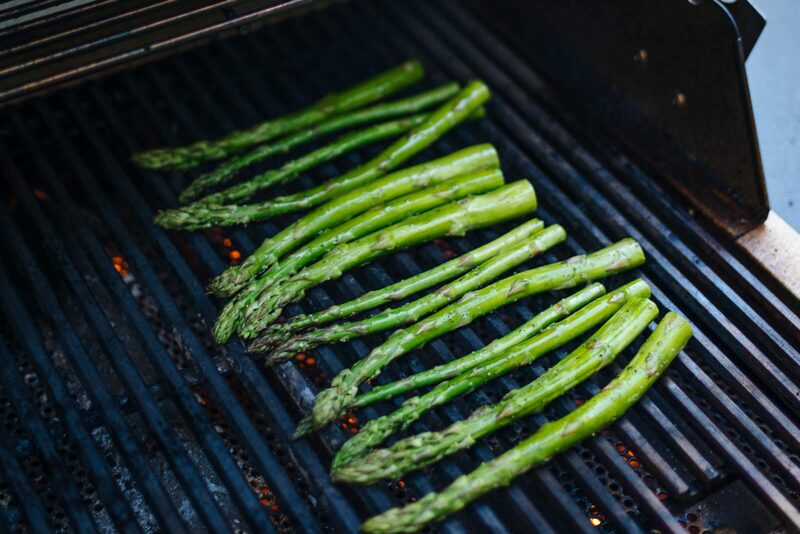 We keep a stack of them in our pantry in various sizes and wash them in the dishwasher.